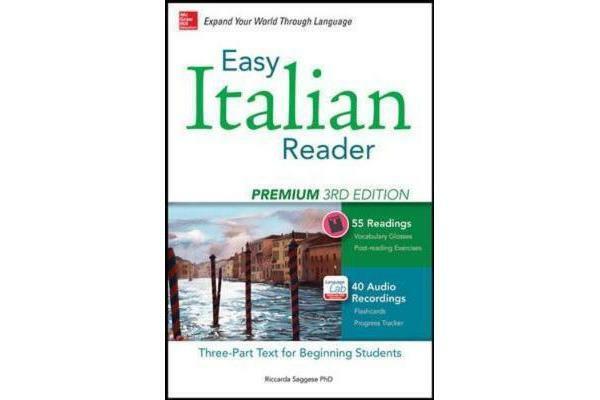 Enhance your Italian reading skills with this primer for premium results! 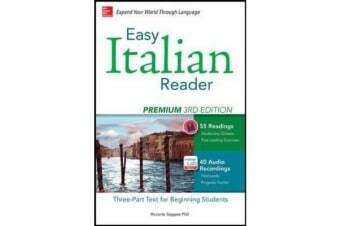 Easy Italian Reader is based on the premise that the best way to learn a language is to start reading it, immediately. Suitable for raw beginners to intermediate-level language learners, this bestselling title features engaging readings of progressive difficulty that allow you to rapidly build comprehension. Part I provides the story of Christine, an American girl whose family moves to Italy; Part II describes episodes from the colorful history of Italy; and Part III contains three stories from contemporary Italian literature. Note: audio recordings (totaling 80 minutes) require Internet access.